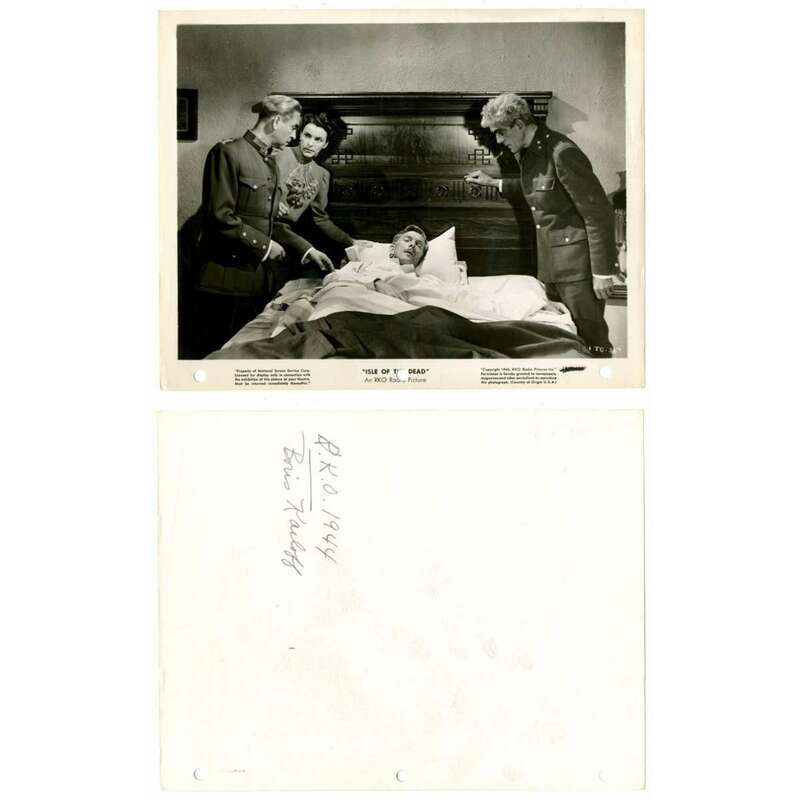 > Lobby Cards and Photos>Movie Stills>ISLE OF THE DEAD 8x10.25 still '45 Boris Karloff & co-stars gathered around sick guy in bed! 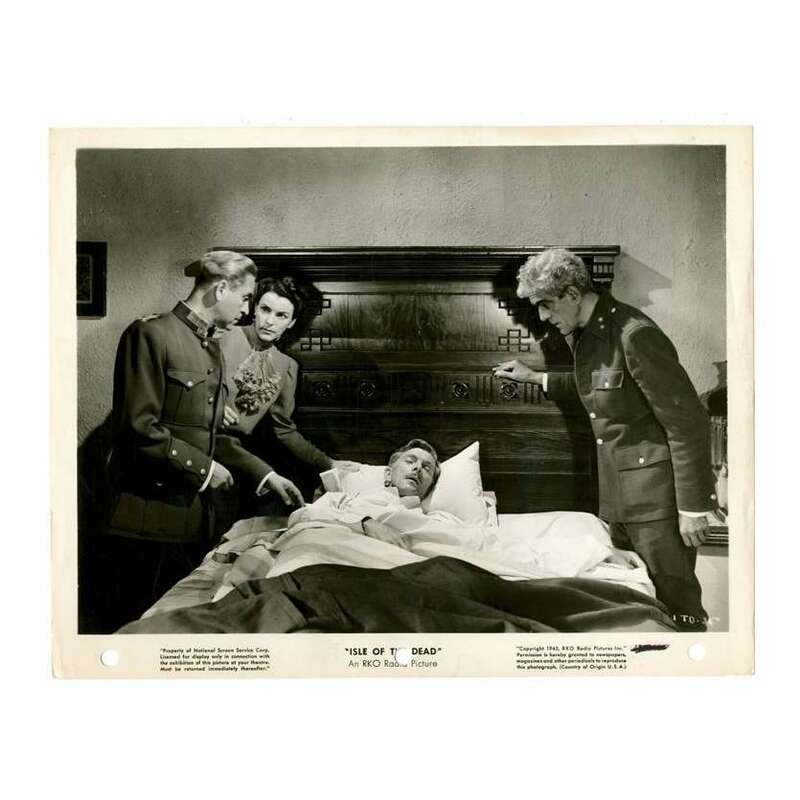 ISLE OF THE DEAD 8x10.25 still '45 Boris Karloff & co-stars gathered around sick guy in bed! An Original Vintage Theater-Used 8" x 10 1/4" Movie Still Condition: Good to Very Good (C5) See our 10 GRADE SYSTEM Page for more information. Isle of the Dead (1945) is one of producer Val Lewton's horror films made for RKO Radio Pictures. The movie had a script inspired by the painting Isle of the Dead by Arnold Böcklin, which appears behind the title credits, though the film was originally titled "Camilla" during production. (Another of Lewton's films, I Walked With a Zombie, has the painting hung in the main room of the movie.) It was written by frequent Lewton collaborator Ardel Wray; directed by Mark Robson, the fourth of five pictures he directed for Lewton; and starred Boris Karloff, the first of three pictures he made with Lewton (although the second released). Important Added Info: Note that this still measures 8" x 10 1/4". Overall Condition: good to very good. There are three punch holes in the bottom border. The NSS number at bottom right was blacked out. 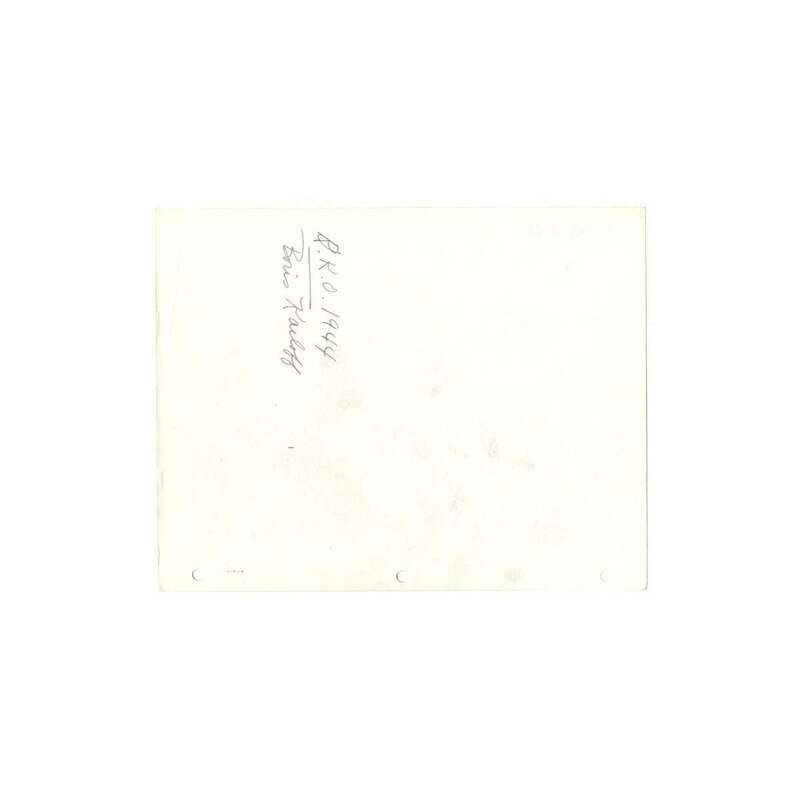 There is a 4" vertical crease in the right border.